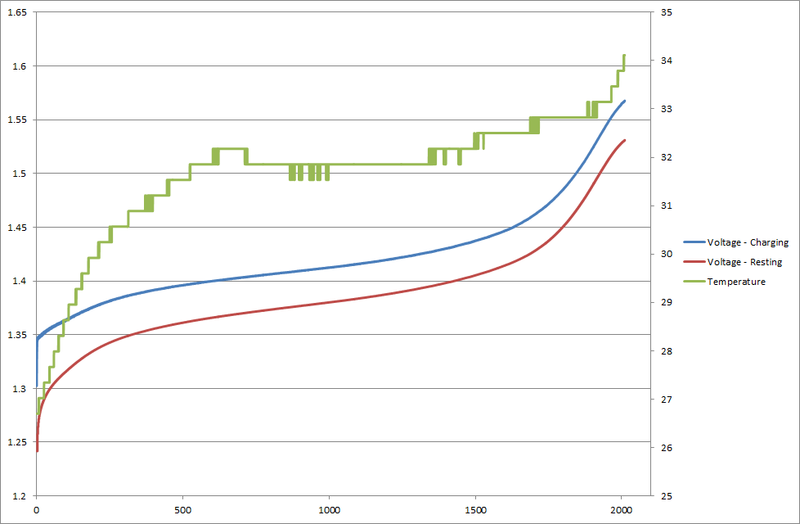 Charges and analyzes NiMH, NiCd & NiZn rechargeable batteries. Logs data to SD card and via serial connection to PC. Uses 18 bit Analog to Digital Conversion chip for ultra high resolution data collection - down to 16 microvolts! Charges 1 or 2 AA batteries with independant termination when full - uses inflection termination. More info on inflection termination. Individual temperature monitoring for each cell. Open Source Hardware by Paul Allen. 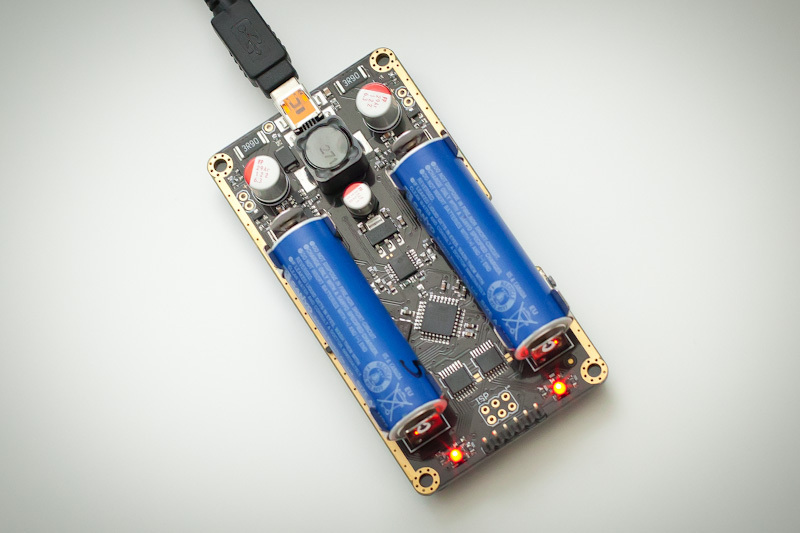 Open Source Firmware by Mark Griffiths allows users to completely customize how the charger works! 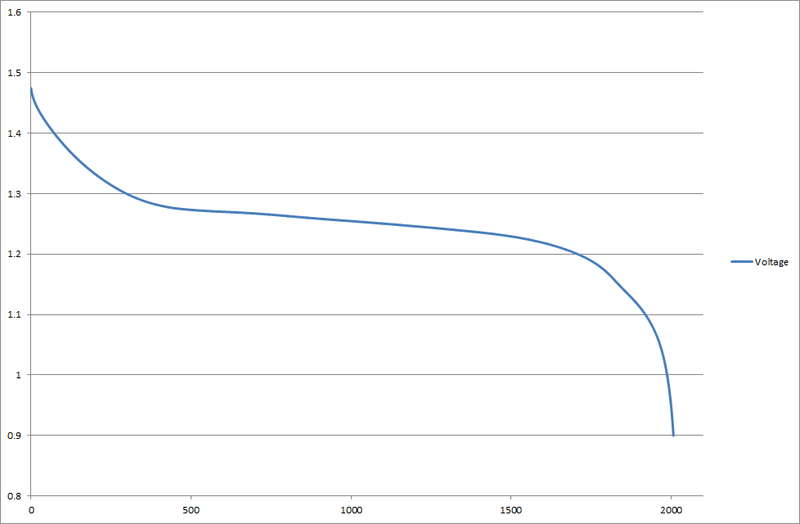 Discharge curve for a second generation 2000mAh Eneloop - tested capacity came to 2007 mAh. Note that standard Eneloops are rated at a minimum of 1900mAh and 2000mAh typical. Most Eneloops test at around 1930mAh with this charger - the above cell is an exception with higher capacity despite repeated abuse.